The Meghwal community of Kachch specializes in leather craft. The men work with goat and camel hide to fashion items such as mojaris or footwear,etc. The men work in the construction of the leather product while the women embellish the products with embroidery. The Marwadi Meghwals, a community believed to have migrated from the Marwar region of Rajasthan, are famous for their leatherwork and unusually bold patchwork. Adept at crafting leather work and wool weaving, they live and work closely with the Maldhari Muslim cattle herders from whom they obtain the hide of dead animals. The dyeing of leather is also a unique practice of Kutch.The pieces of leather are hand stitched by passing thick thread through small slits made with a stitching awl. The main techniques of leather craftsmanship in Kachchh are Jari Kaam and Torni. In Jari Kaam, a silver and golden Jari or thread is used to create various design and motifs on leather goods. Traditionally, Jari kaam was used to decorate horse back riding gear. In Torni work technique, the coarse yarns were used to create colorful patterns on various leather items. It is mainly used to decorate the borders of leather goods. TCraftsmen have also started using sewing machines to assemble the pieces together, thereby adding efficiency to the traditional craft. The men undertake the construction of leather products while the women embellish these objects with embroidery executed with multicoloured threads. In addition to the footwear made of camel hide, the craftsmen also make mirror frames and panels in goat hide; these are ornamented with patterns created by backing a leather surface punched with variously shaped handheld punches against coloured fabrics. The design vocabulary of the leather artisans and the bas-relief forms they render, display a striking similarity with other local craft techniques such as reverse appliqué and felt making. When the Dalit Meghwals of Rajasthan migrated to Kachchh, they brought the leather craft with them. They kept the trade alive by a partnership with nomadic pastoralist Maldharis. When a Maldhari cattle died, the Meghwals converted the raw hides into leather. The work was tough, taking eighteen labor intensive days to treat and wash the hide.The Meghwals’ close relationship with the Maldharis resulted in a remarkable fusion of cultural customs which can be seen in the shared styles of dress and embroidery traditions of the various communities in the region. Emerging, cheaper factory-made products in the local market have caused the local value chain to become fragmented. Meghwals are no longer converting raw hide into leather in Kachchh due to the social stigmas attached to this practice. 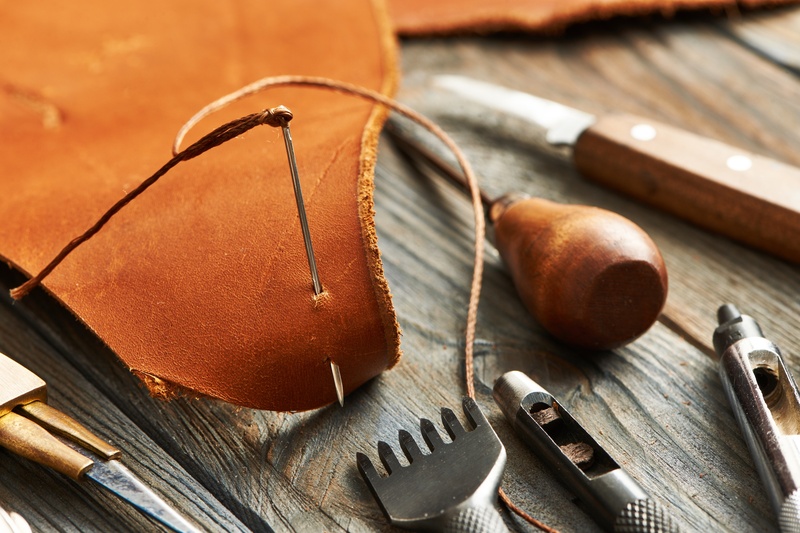 Now, leather artisans are dependent on external markets for both raw material and trade. this post to him. Pretty certain he’ll have a good read.